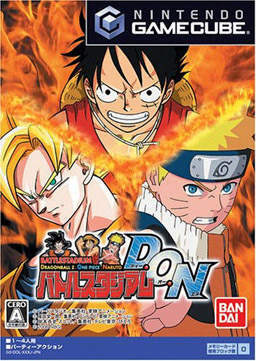 Battle Stadium D.O.N is a Japanese fighting game featuring characters from the popular anime and manga series Dragon Ball Z, One Piece, and Naruto, hence the D.O.N. The graph below charts the compatibility with Battle Stadium D.O.N since Dolphin's 2.0 release, listing revisions only where a compatibility change occurred. This page was last edited on 16 January 2018, at 22:44.